Kitchen! Kitchen! 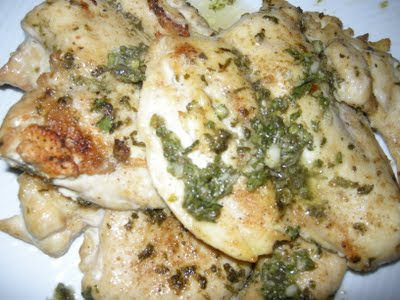 : chicken scallopini with salsa verde....at kitchen! kitchen! chicken scallopini with salsa verde....at kitchen! kitchen! 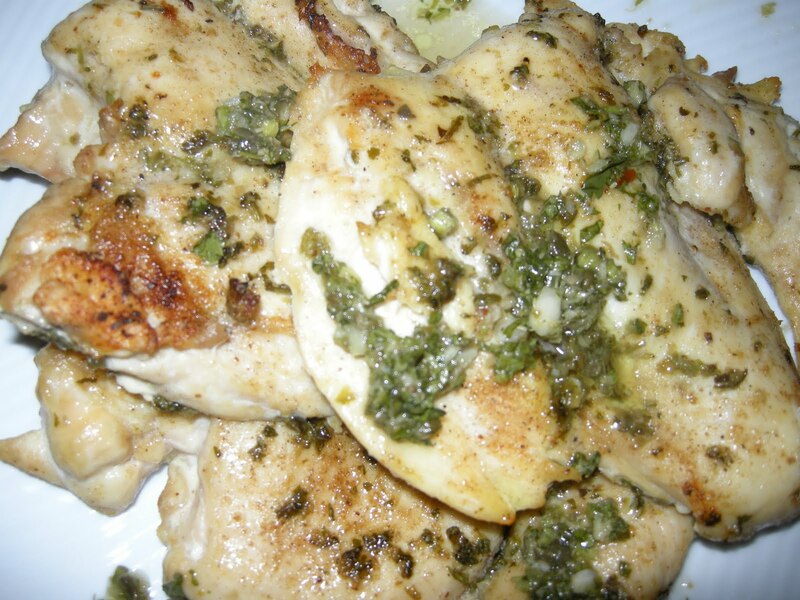 Happy Chicken breast with cilantro salsa verde. This dish is sooooo....easy to prepare and incredibly delicious and satisfying. I call this a "multi-function - no brainer - make me skinny" chicken dish. You could slice it up to make a wrap; as a sandwich; over pasta or simply served with boiled baby potatoes and green salad. It's a happy dish!!! Season with 2 tbsp. reduce fat buttermilk; Amazing dry rub and slather some salsa verde on the chicken breast; bake at a preheated 375 F oven for 15-20 minutes until chicken is done. Switch your broiler on to high to brown the top for 5-8 minutes. Transfer on a serving platter and slather more of the cilantro salsa verde (see previous posting) on top and serve. Now, wasn't that easy???? And if you're watching your calorie count ...this is even more amazing!!!! ...but who's counting!!!! Cilantro salsa verde about 34 cal/1 tbsp. Chicken breast (boneless) 49 cal per oz. 2 tbsp. reduced fat buttermilk 32 cal/2 tbsp. avocado cheese tartlets.....at kitchen! kitchen! Pan seared sirloin steak.....at kitchen! kitchen! Perfection..yet so simple....at kitchen! kitchen!